Very Affordable Style & Ready To Wear! We are proud to have GOA GOA as part of our Showroom and as part of our Collection. 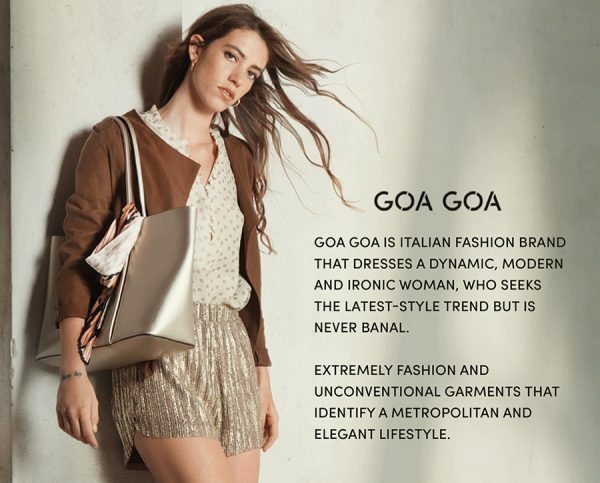 Proud to have GOA GOA as part of our Collection! Gallery Düsseldorf, Areal Böhler, Stand B21, 20.-24.Juli in the Kaltstahlhalle. Affordable Ready-To-Wear with a low price tag. Still keeping up with Quality.